St. Louis Gooey Butter Cake with Bananas Foster Sauce This cake was born out of the pages of a Stephenie Meyer novel. More about that later. 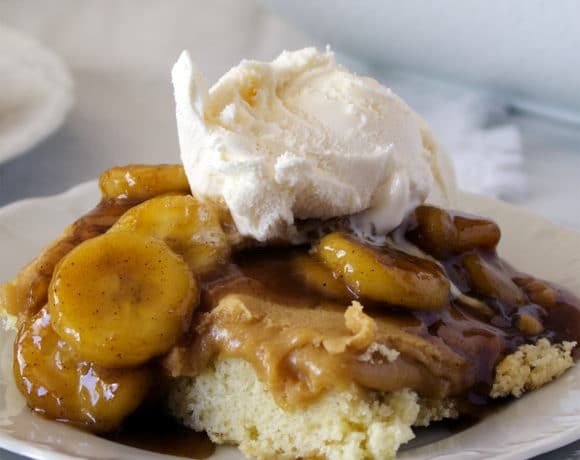 This Bananas Foster Butter Cake is basically St. Louis Gooey Butter Cake topped with Bananas Foster Sauce. 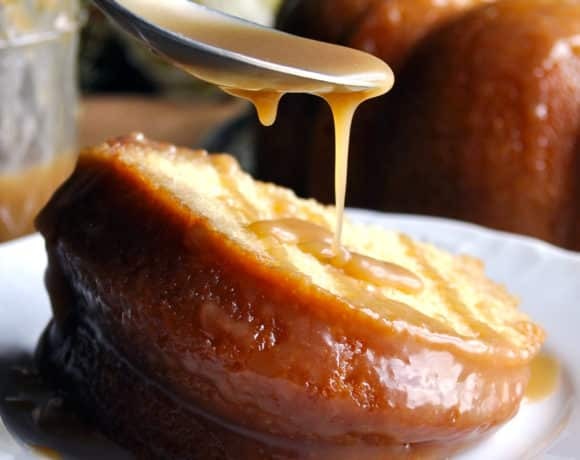 If you’ve never had St. Louis Gooey Butter Cake, you’re in for a treat….